This is not really a recipe-rather it’s a suggestion of things that you put together and fry. I haven’t even given quantities as you can make one or ten toasties. A loaf of raisin bread was result of a brisk supermarket sweep sans lunettes. A larder re-organisation also unearthed rather a lot of hazelnuts that were nearing (past if I’m honest) their use-by date. 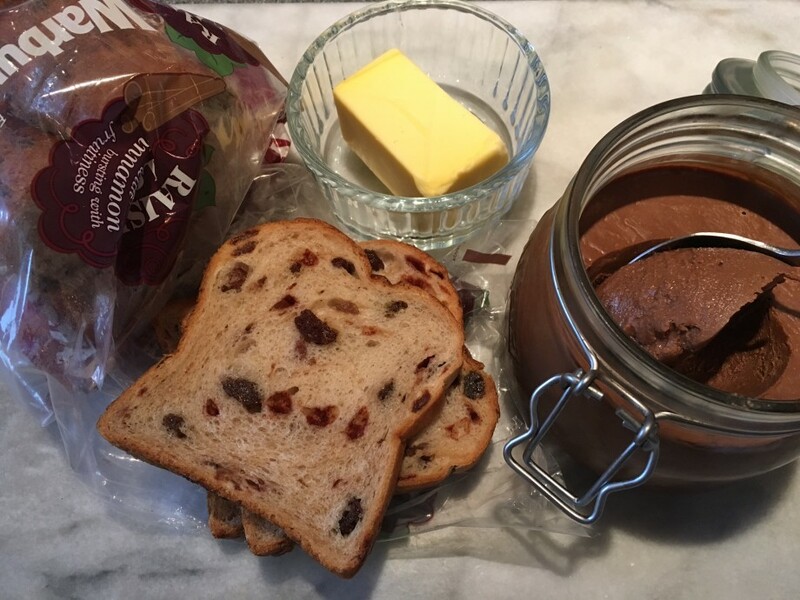 This was the perfect excuse to make some choc hazelnut spread. I think brioche would work at a push, although it is softer and doesn’t stand up to frying very well-unless it’s been dipped in egg and cream, as if you’re making French toast. Take two slices of bread and spread liberally with the butter. 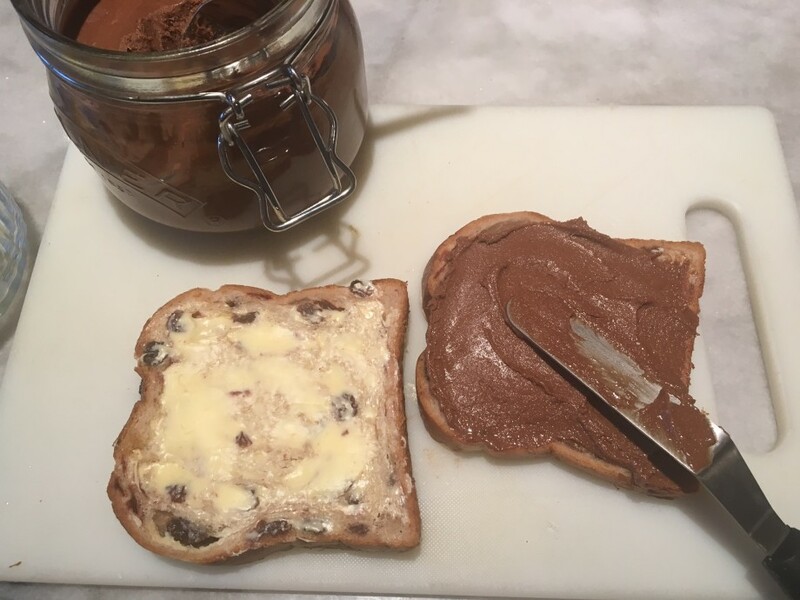 Turn one slice over and spread with the chocolate hazelnut spread. Sandwich both slices together, buttered sides out. 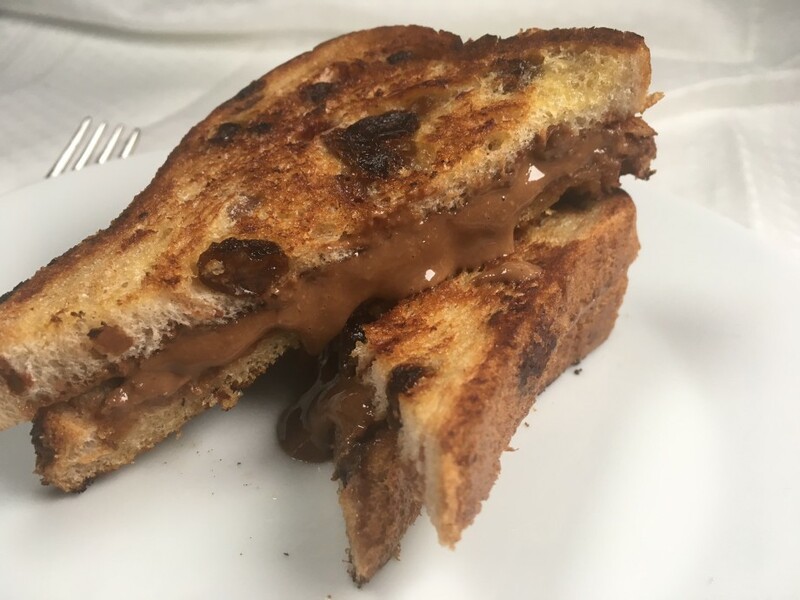 Heat a frying pan and fry the toastie for about 1-2 minutes each side until golden brown. Eat while still warm.